Back in September, rumours started circulating after NASA updated the zodiac calendar with the so-called ‘13th sign’ Ophiuchus. If you’ve been feeling confused or intrigued at what this all means, read on! Over 3,000 years ago, the Babylonians divided the zodiac into 12 equal parts. Your zodiac sign is determined by the day and month you were born (if you’re not sure, you can find your sign here.) When the earth orbits the sun, which happens once a year, the sun passes through each of the 12 parts of the zodiac on specific days. This results in 12 different zodiac signs. Zodiac signs offer an insight in to what each month holds for you, which in turn allows you to discover information that is accurate and applicable to you personally. Now that news has emerged that there might be a new zodiac sign named Ophiuchus, people are upset, concerned and in some cases, distraught that their zodiac sign has changed. There are 13 constellations in the zodiac, and this has been the case for 3,000 years. Since the Babylonians had a 12-month calendar, they decided to leave Ophiuchus out of the zodiac and allow Scorpius to have an equal amount of time to the other constellations. Over time, the earth’s axis has shifted and this has meant that the dates relating to each of the 12 zodiac signs have changed. This is why many now believe that if you are born between November 29th – December 17th your zodiac sign is now Ophiuchus. 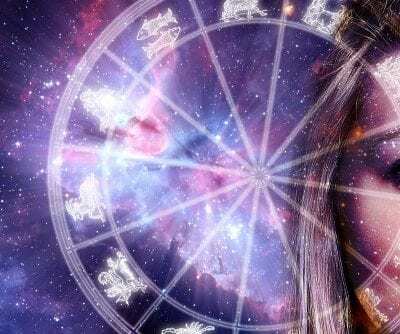 Astrologers have spent the last month reassuring everyone concerned that Ophiuchus will not have an effect on your zodiac sign, and in fact, since 2002 there has been many claims about changes to each person’s astrological sign. Multiple expert astrologers have all come to the same conclusion and have stated that Ophiuchus is irrelevant to Astrology, as it is not a sign; it is a constellation. There are four seasons throughout the year, and each 12 zodiac signs fit within the seasons. Since astrology is based on the seasons, and not on constellations, there will not be a 13th astrological sign. This means your zodiac sign has not changed. Before you decide whether you are for or against Ophiuchus, NASA have released a statement to clarify the news. They stated that the Babylonians and the Earth’s axis are to blame and that the zodiac signs have not changed, and they “just did the math.” To read the full statement, click the link. So there’s both sides to the argument, what do you believe?! Tweet or message us on Facebookwith your views. All of our experienced psychics are available 24/7, no matter the time or day, we are here to assist you and your questions.